At The Healing Cottage, we offer training and Reiki treatments by Reiki accredited therapists who have been actively using Reiki energy every day over many, many years. Reiki focuses on two systems in the body; the cleansing of the meridian system and the balancing of the Chakras. Reiki is simply an energetic vibration that restores balance on all levels, which in turn promotes health, healing and harmony. When the flow of “Life Force Energy” is disrupted, weakened or blocked, emotional or health problems tend to occur. 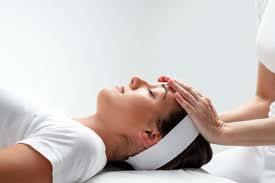 Reiki can relieve stress, anxiety, menstrual pain, neck and back pain, digestive discomforts and headaches. It is known to clear toxins from the body, encourage self–healing, balance energy, strengthen the immune system, and relax the body and mind while improving awareness, creativity, focus and positive thinking. Reiki works with the client’s Higher Self to promote the health and well-being of the entire physical, emotional and energetic body. Please click here https://thehealingcottage.com.au/workshops/upcoming-workshops/ for more information, or call us on 07 5500 4299 for a chat about how Reiki can help you!